A Bible-thumper who wants your money? It always troubles me deeply to see how much money there is in propagating Biblically-informed right-wing twaddle to racist cretins. It's mesmerizing watching Glenn Beck in front of his chalk-board, talking about how atheism leads to Nazism, socialism, and Universal Healthcare, then tying it into an explanation of how Obama hates white people. Ann Coulter shills her bestselling books portraying the American right-wing as jews in Nazi Germany, trying to rally against the oppressive movements of gay-rights, abortion-rights, and rights for anybody other than white anglo-saxon christians. There's money in scaring comfortable fat white people. Every now and again, out of sheer boredom, I'll turn on the 'Christian channel' at my girlfriend's house to see how long it takes for my hackles to be raised. Venturing into the heart of the echo-chamber isn't a particularly comfortable experience, but I get to learn about a whole new cadre of assholes. 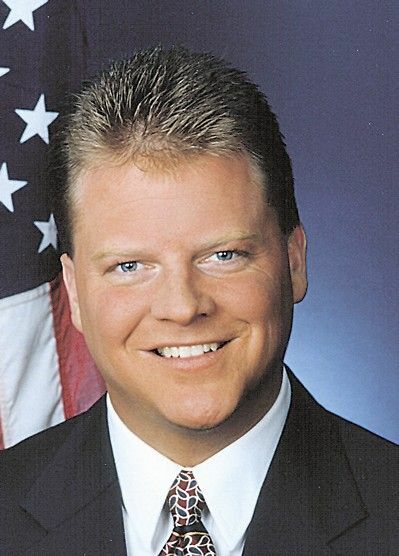 Just the other day, I learnt about the existence of Brannon Howse. 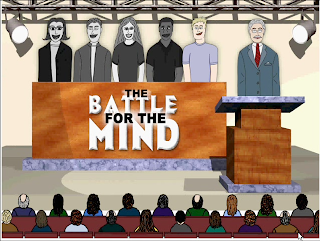 He hosts 'Worldview Weekend Rallies' - a traveling roadshow broadcast on Christian TV channels, in which he talks about the evils of liberalism and pluralism, and praises Jesus and capitalism. Think of a low-rent Glenn Beck and you're halfway there. "Philosophy 101 should be called Atheism 101 - Religion 101 should be Religious Pluralism 101. Biology 101 is more like Evolution 101!" Brannon reveals Bible verses that God will cause someone to die for their continued rebellion. [02/03/11]. Brannon also discuss [sic] how America is becoming a third world country with the increase in illegal aliens that are taking jobs from Americans, increasing crime, our nation's debt and bringing disease to our country. The word 'environmentalism' appears 32 times on the archive page, and only six times is it not preceded by the word 'radical'. 'Obama' appears 615 times. A sister organisation called 'Worldview Weekend Foundation' solicits donations to pay for the rallies (sneakily making 'weekly donation' the default option). 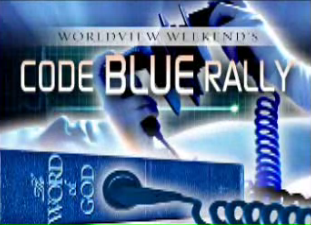 To inspire urgency they're called 'Code Blue Rallies' (likely because their benefactors are acquainted with cardiac arrest themselves), and have posted articles like "Losing it in College" and "The Storm before the Bigger Storm" on the frontpage. The Truth about Money? 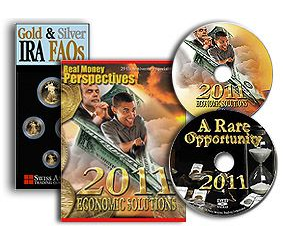 A free Educational CD & DVD on Money Truth? It's got Brannon Howse's face on the front - if you trust him with on his religious and your political advice, why not money? So what is the Truth about money? The truth is you need to buy gold, Jerry! GOLD! Why yes, that is Obama riding a paper-airplane made out of a US dollar. He's about to crash it, you see. I'm not particularly au-fait with investing, but everything I've heard from people in the know leads me to believe that it's a terrible investment for all kinds of reasons. That said, tinfoil hat wearing troglodytes who fear everything they've worked for will be taken away by that Kenyan-born moslem in the white house (read: conservative nutjobs) think that filling their nuke-shelters with gold will insure against financial apocalypse. The info-pack is from a company called Swiss America, who must be giving Howse a commission on every sucker he sends their way, given his commitment to the schtick. A special hour-long talk with Michael Weiner of Swiss America is available for free on the website, and Howse also incorporates pimping gold into regular programming on his radio show: "Utah considers return to gold, silver coins and alternative currency along with 11 other states" [04/03/11]. I think this exemplifies the level of cynicism we're dealing with here. This subject exhausts me. Every now and again I try to convince myself that people so aggressively against the forces of progressivism are the bitter old pensioners who will throw money at hucksters with backwards, racist opinions until they all die off and the rest of the sane world won't have to put up with any more of the dishonest and lazy rhetoric that pays the bills for people like Beck and Howse. There's money in taking advantage of people who can't think for themselves, which means that people who try to do the thinking for you will continue to pop up on our radars. tl;dr version: Conservative religious people are stupid and are paying people to say things they want to hear. Stupid free-market.